Great article Todd. I could not agree more with every point you brought up here. You really should get this article published. I share your opinion on these new doomsday shows. 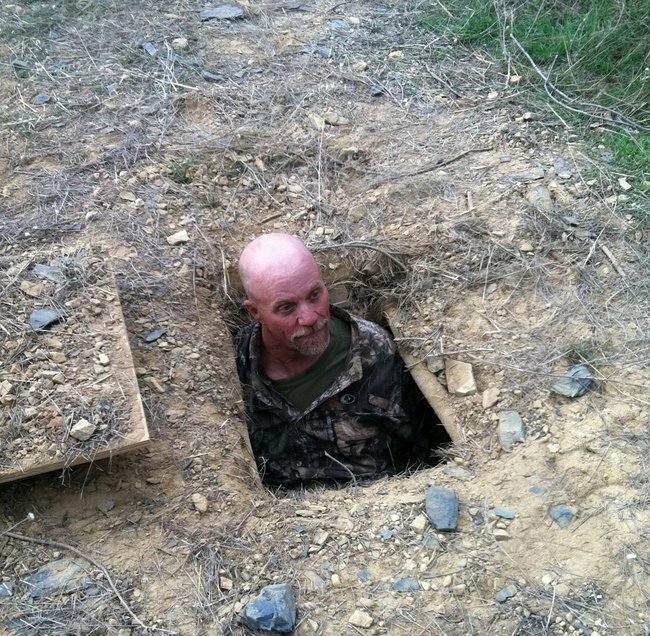 The newest being Doomsday Bunkers on The Discovery Chanel is not quite as disappointing as Doomsday Preppers on Nat Geo. Doomsday Bunkers has other issues in that it’s just boring. 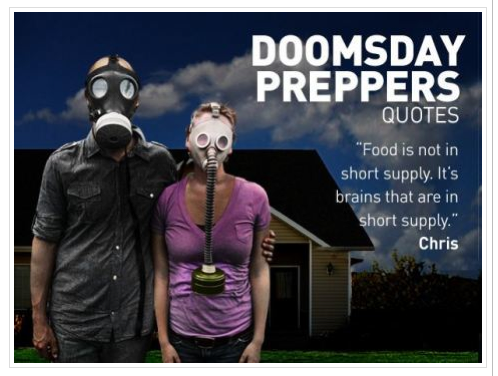 I would like to add one thing to this discussion in regards to how mainstream preppers are portrayed on Doomsday Preppers. If you take any hobby or area of interest that has a lot of people participating you will find the top 5% take it to another level. For example, take a look at sports fans. The mainstream sports fan does not run five fantasy leagues or have twelve video streams of different sporting events streaming into his man cave. The top 5% of extreme sports fan might. This holds true for emergency preparedness. Doomsday Peppers has chosen to find this categories top 5% of extremist and advertise them as the face of preppers…….in reality, nothing could be further from the truth. The show is ridiculous and should be taken off the air. It is not helping or entertaining anyone that I know. While in principal I agree with a community approach to preparing for disasters, I cannot help but to see the value of a moderate approach as presented by the doomsday peepers. If nothing, events like hurricane Katrina taught me that in nearly every society there are people who will propagate chaos to prosper at the cost of others. I for one believe in personal preparness and while you will not find me digging a bunker and preparing for a zombie apocalypse, I have enough food stored my family to survive if cut off from our normal sources. To me this is just common sense; in the event I am out of work due to the economy or the end of the world as we know it 😉 we can survive. If we are all prepared with our families daily needs, we wouldn’t need to rely on FEMA, we could pull together as a community and work to recover from what ails us. Give me one example since the 1970’s where community has prevailed in disasterous circumstances and I will give you one hundred incidences of lawlessnes. Great blog Todd! I was just watching this show the other day and was disgusted/amused at many of these preppers. It is so disheartening to see the mindset of these groups who have obviously seen or played too many apocalyptic movies/zombie games.